SAN SALVADOR, Aug 26 2017 (IPS) - Energy from the depths of the earth – geothermal – is destined to fuel renewable power generation in Central America, a region with great potential in this field. The Aug. 21-22 workshop in El Salvador and a regional conference on clean energies held the following three days allowed representatives of the governments of the region, experts and academics to exchange experiences and discuss key issues to promote geothermal energy as one of the cleanest and cheapest renewable energy sources. Central America, with a total population of 40 million people and annual economic growth of three per cent, has shown a 65 per cent increase in energy demand in the last 12 years. And by 2020, this region will require an injection of seven additional gigawatts of energy to the current supply, according to a report published in July by the International Renewable Energy Agency (IRENA). Furthermore, seven million people still have no or little access to electricity, according to IRENA, which is devoted to promoting development of sustainable energy around the world. The motor that moves Central America has been driven mainly by hydropower plants, but the new scenario in an increasingly changing world has enabled the entry of new players. Geothermal energy has gradually been gaining strength It is the energy produced by the internal heat of the earth, which is concentrated in areas where there are volcanoes or geysers, known as geothermal reservoirs, which can produce clean energy indefinitely. The heat or thermal energy is transferred to the surface, and the force generated by the steam is used to power a turbine that moves an electric generator, in a plant within or near a producing field. The workshop was organised by LaGeo, the state company in charge of the production of geothermal energy in El Salvador, and IRENA, with the support of the German Institute for International Cooperation (GIZ), while the conference was coordinated by IRENA together with other bodies. 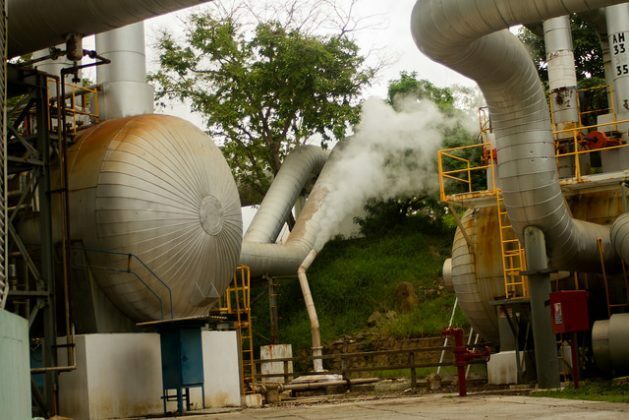 Geothermal energy in the region started to be developed in the 1970s in El Salvador, with the inauguration of its first plant in Ahuachapán, in the west of the country, and later it began to be developed in Nicaragua, Costa Rica, Guatemala and Honduras. Now, these five countries are among the top 10 in the world with respect to the share of geothermal energy in their energy mix, with El Salvador second only to Iceland, since the earth’s heat makes up 25 per cent of its total primary energy supply. “El Salvador is a good example of how it has tapped into its geothermal energy to cover its energy needs,” Alexander Richter, president of the International Geothermal Association, told IPS. In terms of installed capacity, Costa Rica is the leader in Central America, with 207 MW, followed by El Salvador with 204, Nicaragua with 55 and Guatemala with 50. However, “geothermal energy has a potential not fully developed yet and we want to help governments in the region to do so,” Vanessa Interiano, senior adviser to IRENA, told IPS. According to the agency’s estimates, the region could meet almost twice the energy demand projected for 2020 by using geothermal energy. “The sector has not expanded as it could have done. There are many challenges, but in general, we have the people and the experience, and important projects are being developed,” said Richter. 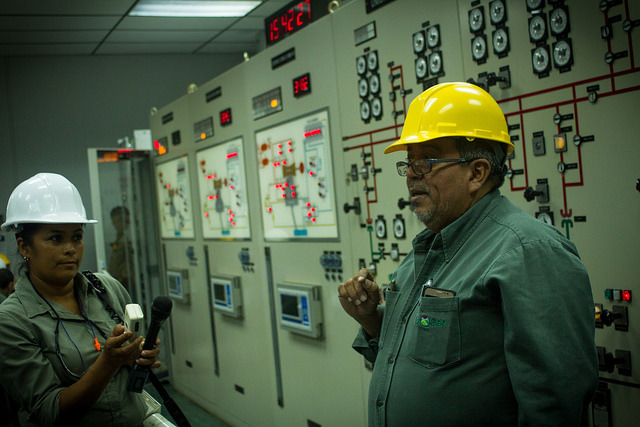 The governments of Central America are promoting a Central American Clean Energy Corridor, an initiative that seeks to inject into the regional power grids electricity generated from sources that do not cause greenhouse effect emissions. This effort will be carried out through the Central American Electrical Interconnection System (SIEPAC), a network of 1,800 km of power lines that connect 35 million consumers – from Guatemala in the north to Panama in the south. The idea was inspired by a similar initiative launched by IRENA in Africa in 2013, to interconnect clean energy sources, from El Cairo in Egypt to Cape Town in South Africa. But promoting and developing more geothermal energy is facing major challenges. One of them is obtaining financial resources to carry out the initial stages of the project, the exploration and drilling, as well as the construction of the plants themselves. “That costs money, and requires a stable economy capable of paying high enough electricity prices to sustain these projects,” said Richter. The initial cost of the exploration and drilling of three to five geothermal wells ranges from 20 to 30 million dollars. This is a small sum compared to the total cost of a geothermal field development, but it is difficult to propose, due to the risks involved in the operations, points out an August 2016 World Bank report on the advantages and challenges of energy sources in Latin America. Other hurdles to be overcome have to do with access to technology, which is not always available, as well as training, stressed IRENA adviser Interiano. However, in this area, El Salvador has been a pioneer in creating a centre for technical training, which has provided training to professionals and students in Latin America and the Caribbean. Currently, it has a certificate programme on geothermal energy, in which 30 students from 10 countries are taking part. In addition, “it is important to disseminate information on what is being done in this field – many people do not know about the importance of this kind of energy – and to get young people and people in general fired up about studying renewable energies,” she said. But above all, the need for creating laws and regulatory frameworks is one of the priorities in order to expand renewable energies in general, and in particular geothermal energy in the region, several panelists said during the workshop in El Salvador. Currently Argentina, Belize, Chile, Colombia, Honduras, Mexico, Nicaragua, Panama, Peru and Uruguay have laws on renewable energies, while Venezuela is drafting one, states the World Bank report. “Most countries in Latin America, inclugin Brazil, Costa Rica, Ecuador, El Salvador, Guatemala and Paraguay, have one or more specific laws on renewable sources,” the study points out.